Every once in a while you get an opportunity to show the power of community to your kids. 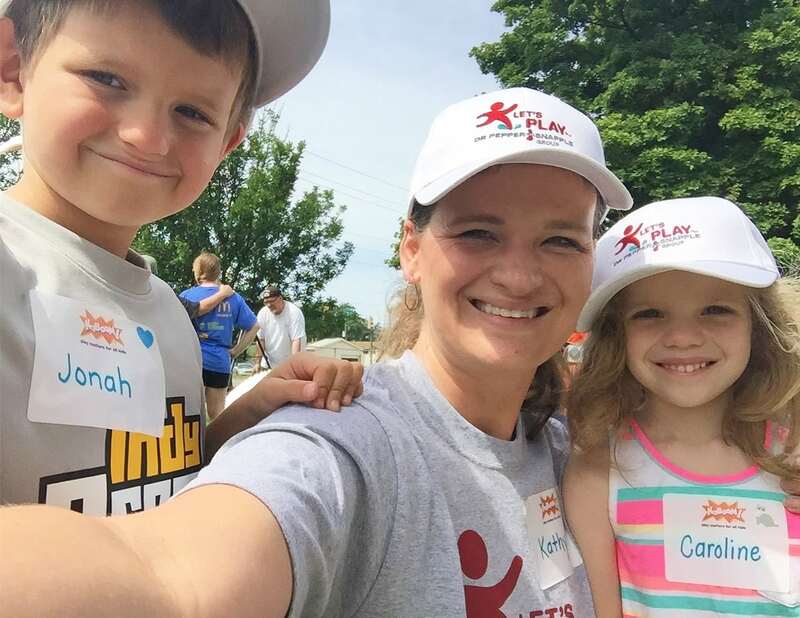 I had such an opportunity last week when my kids and I attended the Let’s Play Day in Indianapolis sponsored by Dr Pepper Snapple Group. 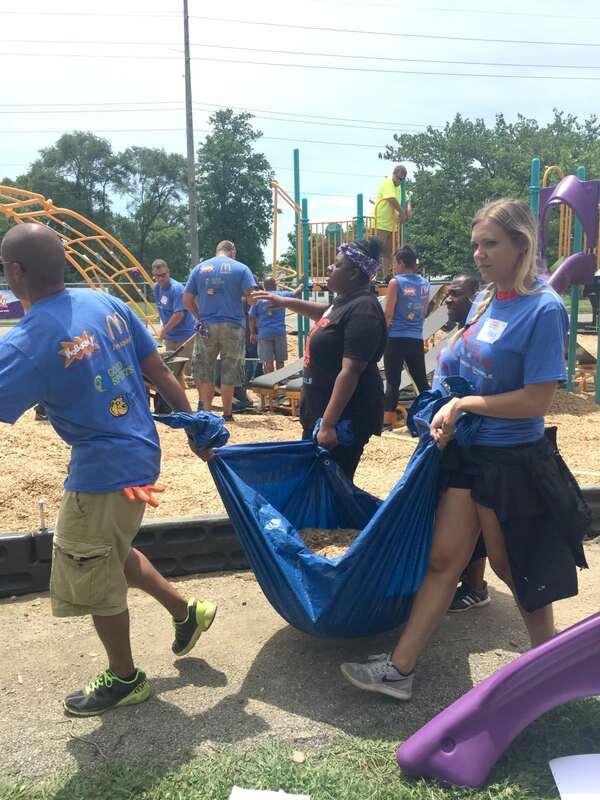 This event brought together over 200 volunteers from the Indianapolis community to build a playground for some deserving kids. 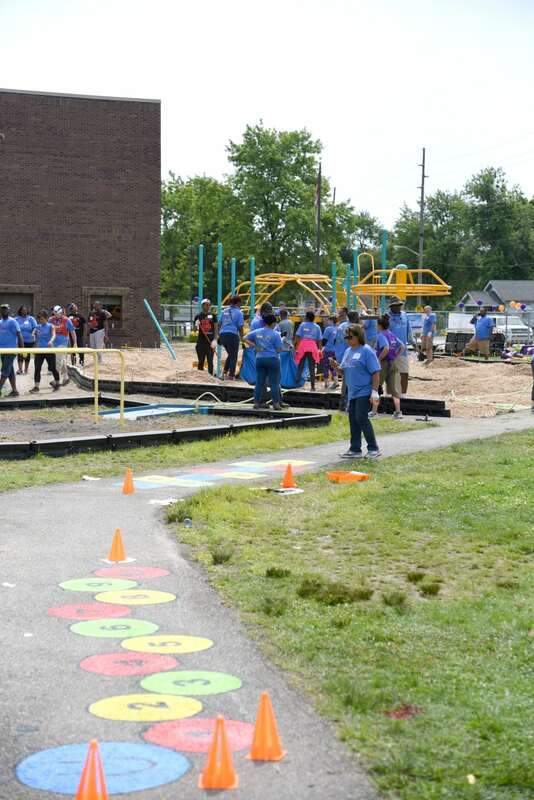 In one day, an amazing playground filled with benches, activities, jungle gyms and more were built for the kids of Emma Donnan Elementary and Middle School. When we arrived the volunteers were already in full force working on the playground. 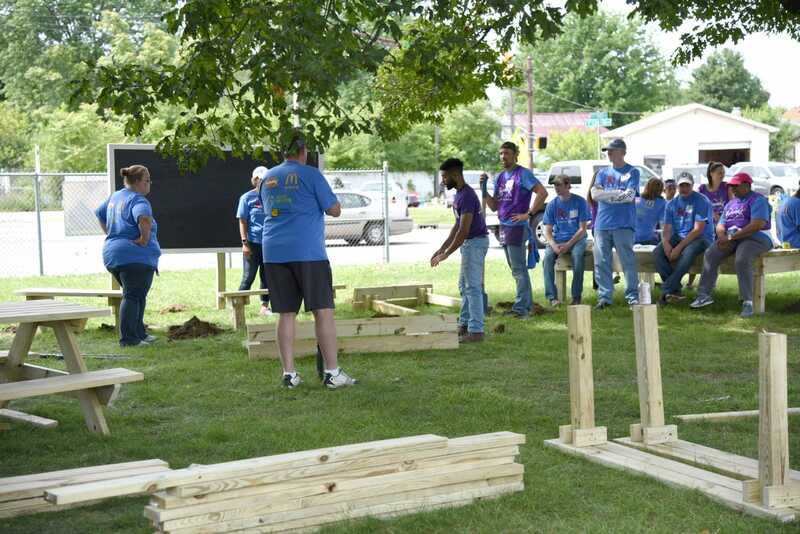 In one area, volunteers were building picnic tables and benches for the outdoor classroom. A large chalkboard is available for teachers to bring their students outside on a nice day for a different learning environment. There were volunteers painting boards that can be placed on top of the picnic tables for games like chess and checkers. They also created planters for an outdoor garden that they placed in a separate area and planted vegetables in. The outdoor learning didn’t end there. 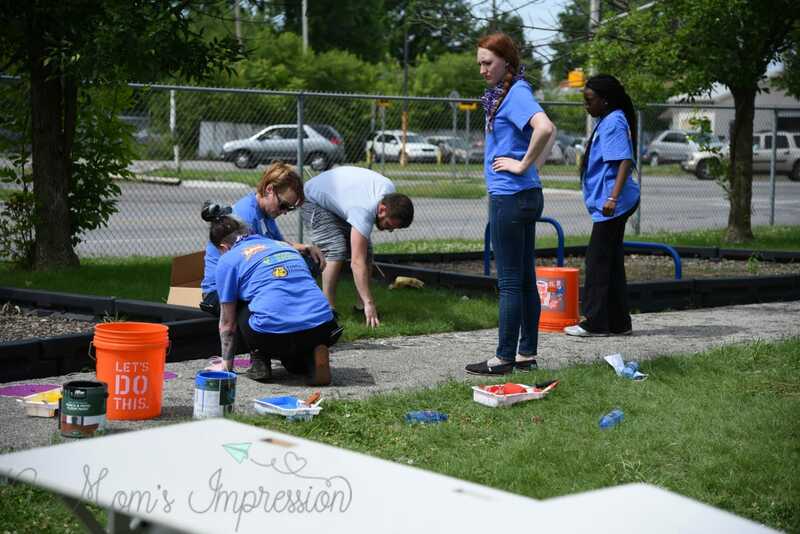 Volunteers helped paint educational activities and motivational sayings on the blacktop paths that connect the playground together. We helped paint a math game where kids could practice their math fact skills with their friends. Over by the parking lot, volunteers painted a large-scale map of the United States for the kids to enjoy and utilize. What I loved about all of this is that the kids of Emma Donnan helped develop the plans. They got together with volunteers from KaBOOM!, teachers, and parents from their school and told the playground planners what they wanted in their new playground. They are going to be so excited when they see all these fun, vibrant colors and activities to do during their recess time. A play committee was made up of local volunteers who had a place for my kids to go and play while I helped work on the playgrounds. While they were playing, I was busy shoveling mulch onto some tarps to fill up the beds underneath the new playground equipment for safety. It really does take a village to come together to pull off something like this. You should have seen the incredible piles of mulch that we moved to the playground. It took all day but the volunteers made it happen. 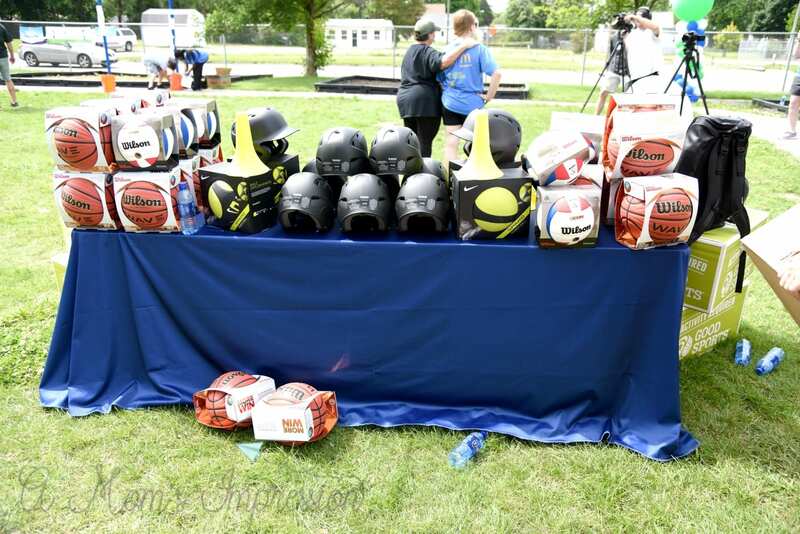 The day wasn’t just about building, through the help of Good Sports, over $130,000 worth of sporting goods were donated to be distributed around the entire city. With PE budgets cut to an average of $750 a year, this will have a huge impact on children throughout Indianapolis. 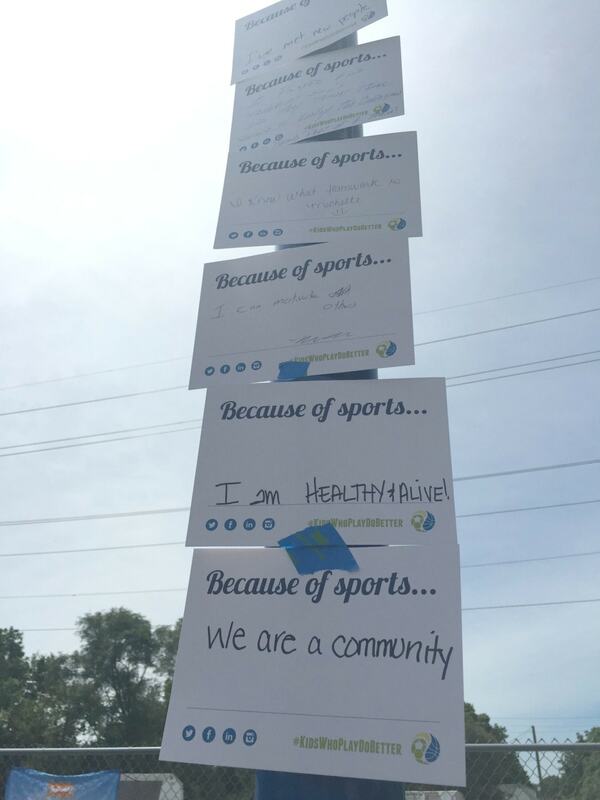 Playing sports creates so many positive aspects in kids’ lives and having access to this equipment is going to touch over 62,616 in the Indianapolis area, isn’t that incredible! If there is one thing that I will be taking away from this day is that when a community comes together you can accomplish amazing things! 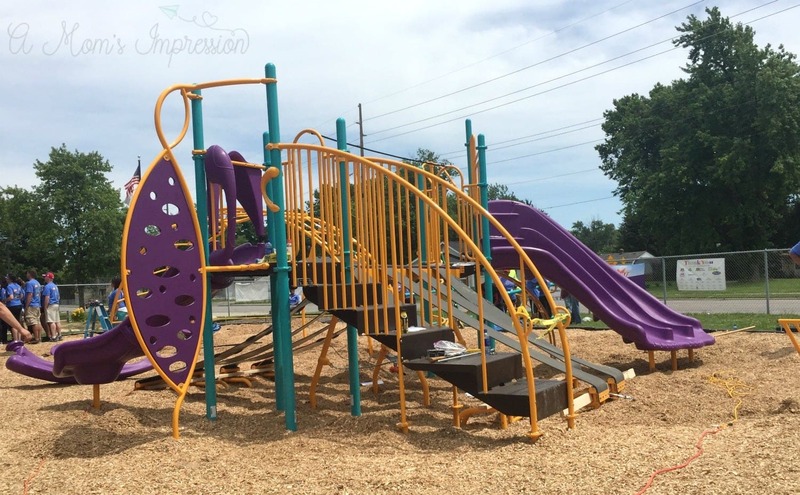 We were able to take a space that wasn’t be utilized to its potential and create a fun, outdoor space that the students of Emma Donnan Elementary School will enjoy for years to come! 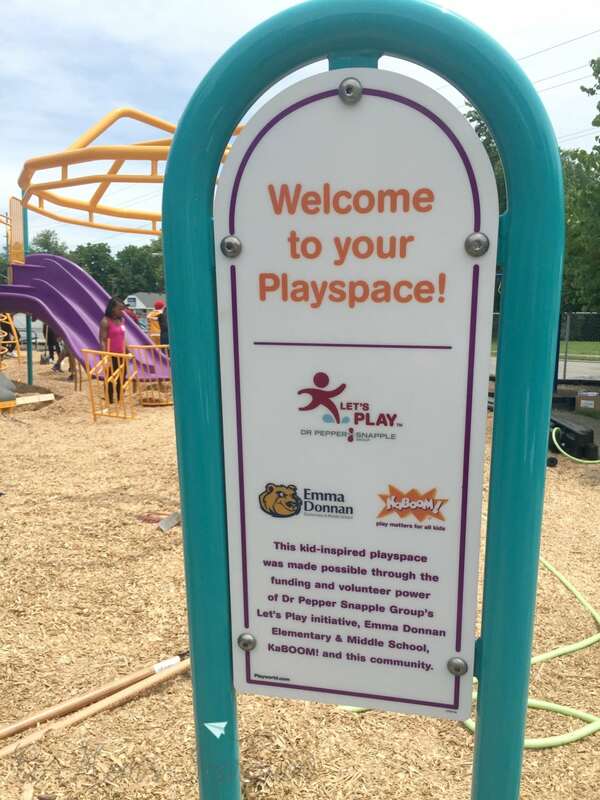 A huge thank you to KaBOOM!, Good Sports, and Dr Pepper Snapple Group for sponsoring Let’s Play Indianapolis and for making a difference to the children in our city. For more information about Let’s Play , please visit LetsPlay.com or Facebook.com/LetsPlay.